Walk into a home improvement store on a mission to renovate your kitchen or bath, and you may find yourself overwhelmed with the types of tile available. Dozens of sizes, shapes, materials, and colors may even derail whatever decisiveness you had. To narrow the search and ease your decision-making process, we’ve outlined the pros and cons of five popular tiling options worth considering for your next remodel. One of the most popular types of tile for backsplashes, glass comes in a wide variety of colors, sizes, and opacity. There is a lot of versatility in shape, too: You’ll find squares, rectangles, medallions, fish scales, and mosaic tiles, which two inches or less in size and ideal for creating patterns throughout your tiled surface. Homeowners can opt for larger individual pieces of glass to lay themselves or mesh-backed mosaics for easier installation. Depending on the specific styles you choose, you can expect to pay between $7 and $30 per square foot for these materials. 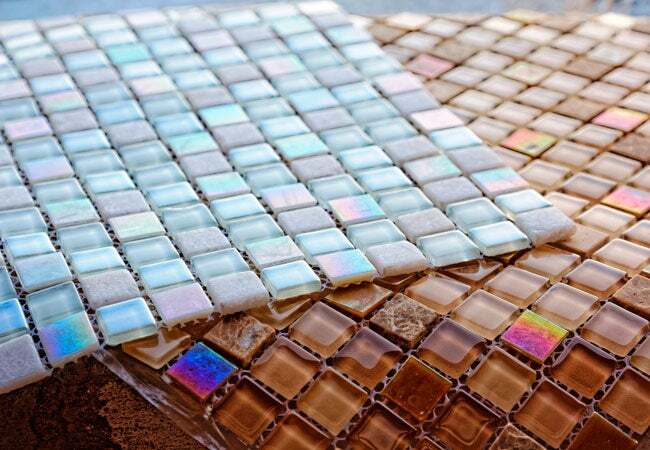 While the sheen from glass tile would look beautiful anywhere, it’s best kept to the walls. For starters, glass can be much too slippery for walking on (unless you carefully choose materials designed specifically for flooring). Additionally, the laws of gravity make glass flooring more susceptible to damage from dropped objects than, say, a glass tile backsplash or wall—and, unfortunately, the material is no easy thing to repair if broken. The picturesque material does boast several pros: mildew resistance, a practically stain-proof surface, a beautiful light-reflective appearance, and easy cleaning. Pro Tip: If you decide that glass tile—one of the most expensive tiling materials—is for you, recruit a pro for installation to prevent the adhesive from showing through the translucent surface. Porcelain tile is made from refined clay and other natural ingredients, fired in a kiln, and then glazed, left unfinished in its natural state, or doctored up to look like stone or wood. 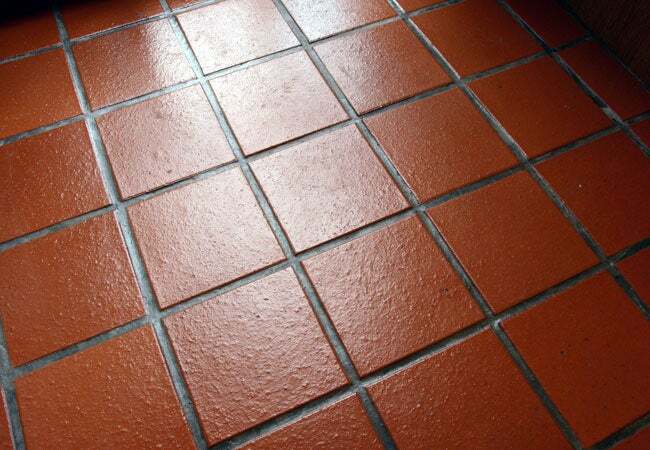 Actually a subset of ceramic tile (see below), it comes in many shapes and sizes, such as squares, planks, or penny round tiles. Earth tones like browns, beiges, and grays are the most common colors. Porcelain tile ranges in price from $3 to $7 per square foot, and it’s equally suitable for installation on the wall or floor (depending on the manufacturer’s friction, hardness and durability ratings). The benefits of porcelain include its overall hardiness, its compatibility with radiant heating systems, the ability to install it yourself, and its resistance to liquid and stains—especially when glazed. Its drawbacks are its high price, as well as the necessity to cut it with a wet saw and diamond blade. 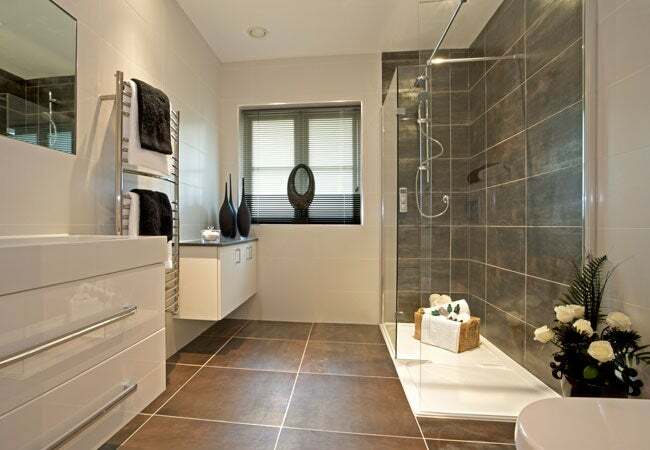 Ceramic tile can be found most often in kitchen and bathroom flooring. Made of less refined clay and fired at a lower temperature than porcelain, it’s softer, more porous, and not as dense or durable by comparison. These features result in a lower price point—usually from one dollar up to $5 or $7 per square foot. Ceramic tiles come both glazed and unglazed, and while they’re available in neutral tones, colored glazes can render a range of brighter colors. Most home stores carry ceramic tiles in square, subway-style, penny-round, or mosaic shapes. The biggest pros of ceramic tiles are its durability, affordability, resistance to stain and scratches, and ease of cleaning and installation. Its biggest drawback is its fast absorption rate, meaning that floor spills will need to be cleaned quickly—especially if the tile is unglazed. Ceramic tile also isn’t compatible with radiant heating, and tends to feel cold and hard on feet. Keep in mind that unglazed ceramic tiles should be sealed for better water resistance. 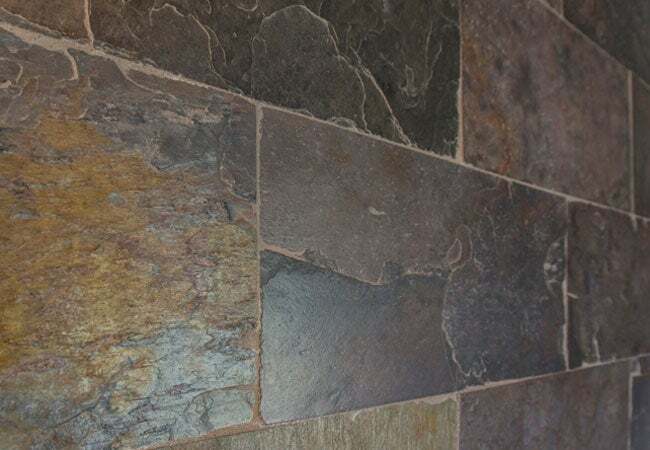 Quarry tile is often mistaken for brick, and with good reason: they’re both rectangular in shape and typically red, brown, gray, or rust-colored. This unglazed tile is usually composed of clay, shale, and feldspar. It’s popular for flooring in high-traffic areas like the kitchen. The biggest advantages to choosing this type of tile include affordability (only $3 to $5 per square foot! ), durability, ease of cleaning, slip resistance, and a long lifespan even in areas of constant use. That said, its unglazed surface is a double-edged sword—while ideal for walking across, it tends to absorb liquids and stain easily. It’s also not particularly versatile from a design standpoint; if you want fancy patterns and lots of color, this isn’t the tile for you. Pro Tip: If you plan to install this in the kitchen or high-traffic areas, make sure to properly seal it, too, in order to keep dirt and spills from marring the surface. 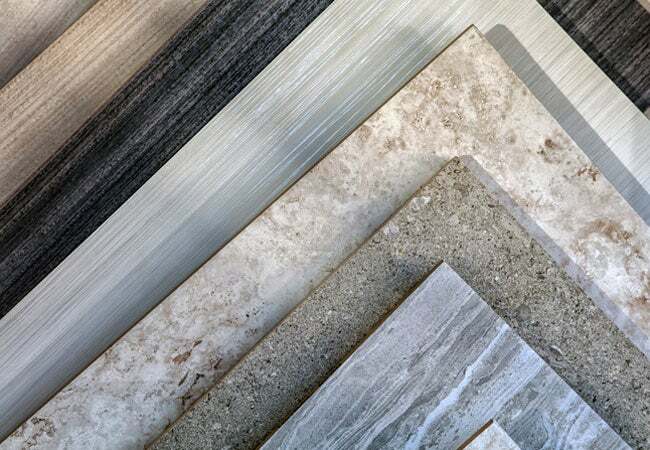 Whether shopping for stunning walls or flooring, homeowners can choose from a wide range natural stone options, including marble, travertine, slate, granite, and limestone. These modern and timeless options are generally purchased as uneven slabs for wall tile and slightly irregular squares and rectangles for flooring. Due to the vast array of stone tile types on the market, they can run from $2 to $20 per square foot, with slate and travertine on the lower end of the range. The biggest draw of natural stone is its sheer natural beauty, as well as its ability to keep rooms cool in warm weather and comply with radiant heating systems in cold climates. 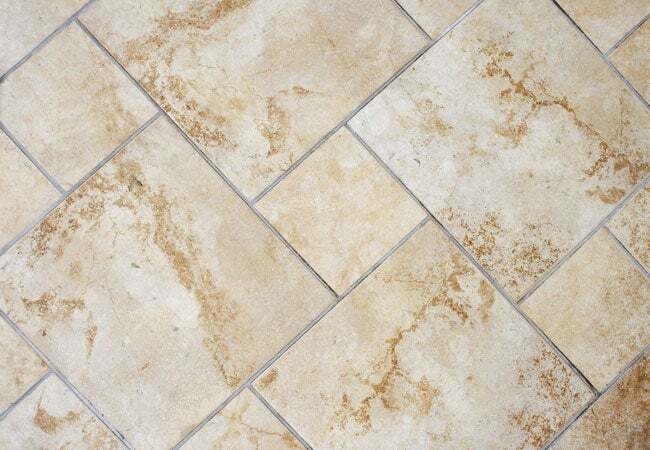 Its biggest drawback is its price, and other cons vary by stone type: Travertine wears rather easily over time, while marble is prone to staining and slate can be uneven when used underfoot.